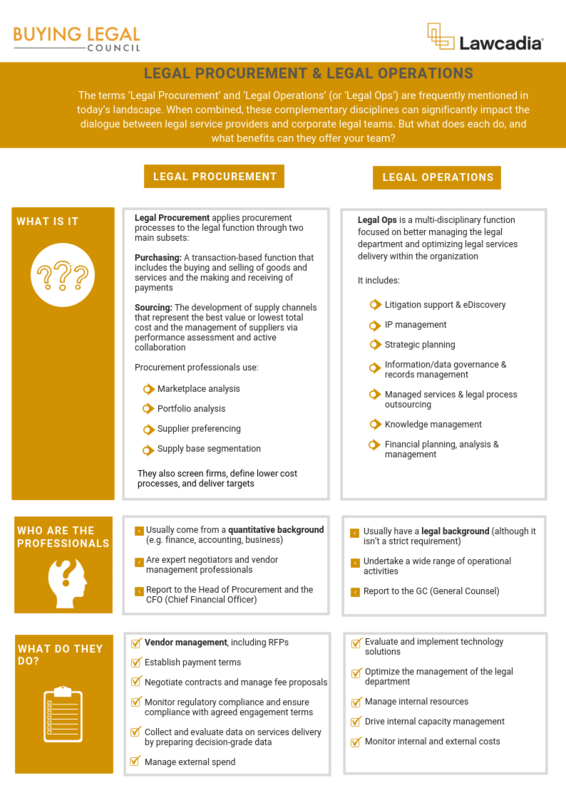 Do you know your legal operations from your legal procurement? 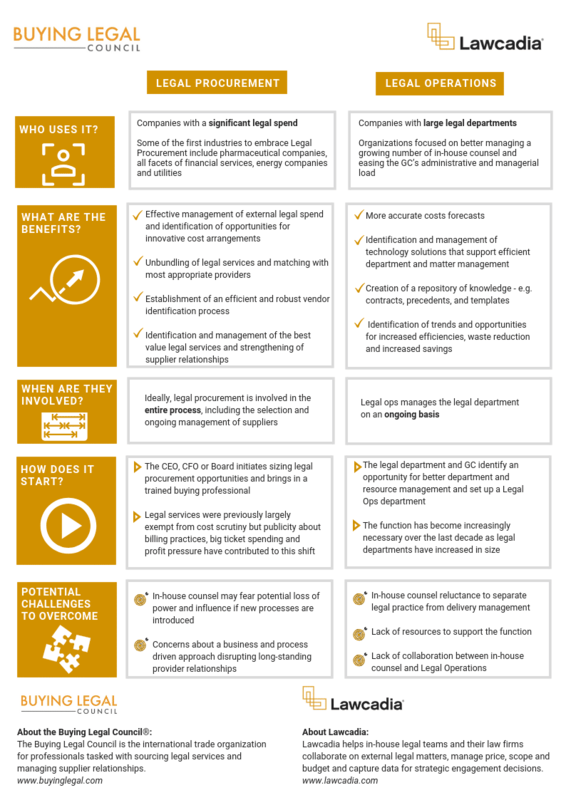 In our collaboration with the Buying Legal Council, we break down the differing disciplines and highlight what each can offer your team. For a more detailed breakdown, check out this blog post. You can also download this document as a PDF here.